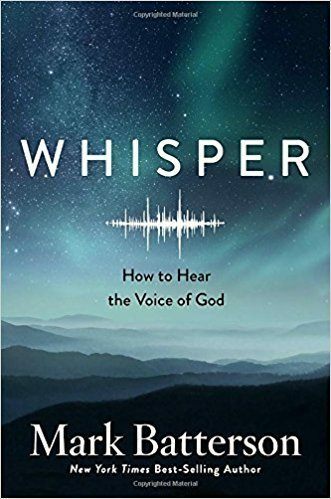 Author and pastor Mark Batterson opens the prologue to Whisper: How to Hear the Voice of God with a question. Mark asks if God’s voice is the loudest voice in your life. If you answer ‘no,’ that’s the problem. 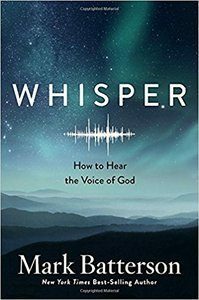 However, Pastor Batterson underscores, you must first hear the voice of God to find your own voice – the unique message God wants to speak through your life. And when what He has to say is too important to miss, God often speaks in a whisper. For when God whispers, we lean toward Him. Exactly what He wants. In addition, a whisper represents the most intimate form of communication- and seems to be God’s preferred method. So as you learn to discern God’s voice, His songs of deliverance can set you free. When you love someone, the author notes, you love the sound of that person’s voice. You long to hear it. Your relationship with God is no different. Furthermore, our transcendent God is bigger than big. But our imminent God is closer than close. Thus, God’s big enough to speak the language we understand, to speak through doors, dreams, and people. Yet, God’s close enough to speak through desires, promptings, and pain. Consequently, it’s not that God’s speaking any louder. We’re just listening a little closer and a little better. And even if everyone else screams something different, press on and obey God’s whispers. Also, act decisively to give God a second hearing with your inner ear. That’s how the truth of God’s Word gets from your head to your heart of hearts. Therefore, Pastor Batterson defines genuine listening as ultimately an act of submission. Discovering your whispering spot enables you to hear God’s whisper. In that spot God’s voice echoes loudest and longest. Finally, in your whispering spot God heals and reveals, convicts and creates. And the quickening of the Holy Spirit marks the difference between information and transformation. As we grow in grace, God’s command becomes our only wish. Above all, God wants us to delight ourselves in Him. As a result, Mark defines seeking God first as delighting yourself in the Lord, giving Him not only the first word but the last word, and making sure His voice functions as the loudest voice in your life. Only via nonconformity to the world can you voice the unique message God wants to speak through your life.